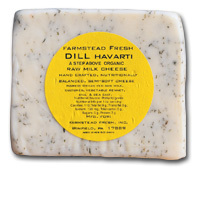 Farmstead Fresh offers many styles of Pennsylvania cheese for purchase at their website, including Baby Swiss, Feta, Havarti, Sharp Cheddar, Jalapeno Pepper Jack, and others. They’ll ship anywhere in the country – a wonderful Made in Pennsylvania gift! 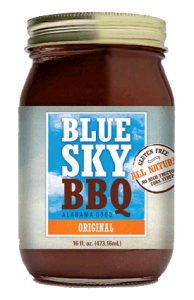 Blue Sky BBQ: From Sewickly, PA about 10 miles outside of Pittsburgh comes the Blue Sky BBQ Company which makes a specialty red barbecue sauce inspired by owner Andrew Cordell’s grandmother from Alabama. This is exactly the kind of BBQ sauce we seek out on our travels – sweet and smoky with a little bit of a spicy kick at the end. 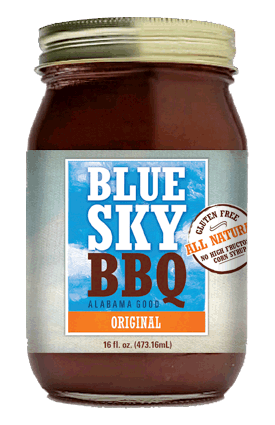 Blue Sky contains no artificial ingredients, GMO’s, none of that stuff. 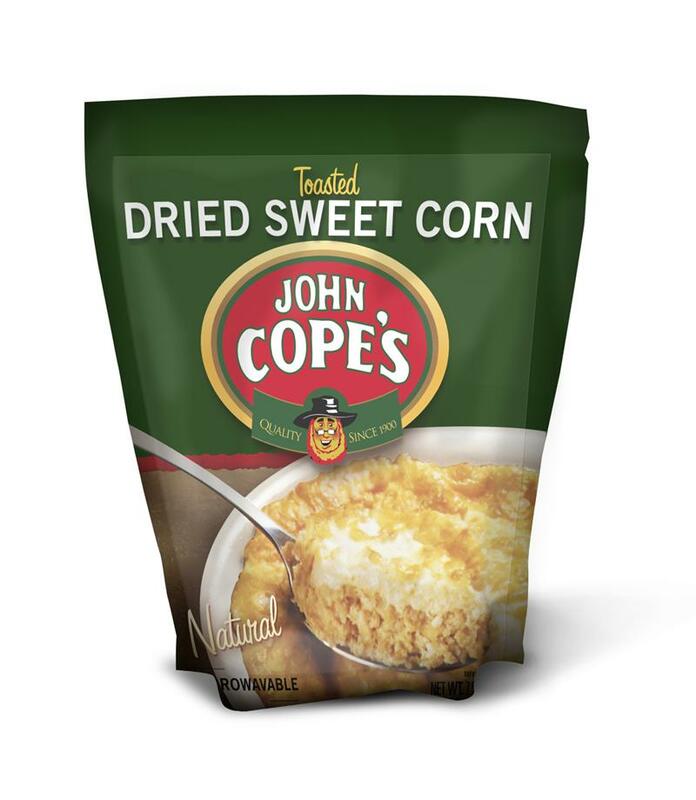 There’s no high fructose corn syrup and you’ll taste the molasses which gives the sauce its sweet bent. This small company also makes a BBQ Seasoning & Rub and you buy both products at their website. Who says good barbecue sauce can only be from certain parts of the country?? In addition to hot dogs, Berks is known for their ring bologna, ham, sausages & brats, deli meats, and more. If you’re craving a taste of Pennsylvania, you can order Berks hot dogs and ring bologna directly from their website. A fun gift for someone who likes to eat! It’s titled Best of the Best From Pennsylvania and it’s available from Quail Ridge Press. 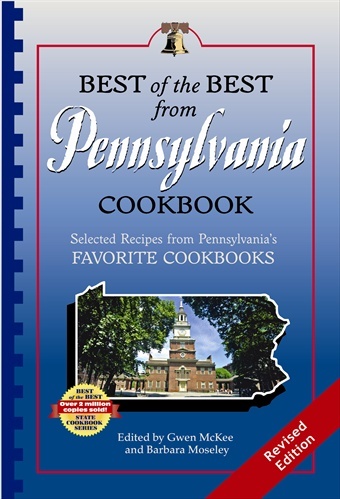 This cookbook contains treasured recipes from almost 100 of The Keystone State’s famous recipe books all in one place. You’ll find helpful instructions on how to create some of the state’s best known culinary specialties in your own home. The perfect gift for anyone who loves Pennsylvania! 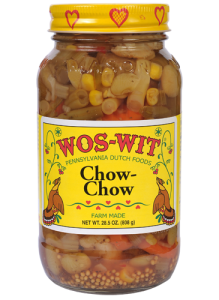 Wos-Wit Pennsylvania Dutch Foods: We’ve known about this company for years … we’ve enjoyed their Chow Chow on hot dogs, sandwiches, and mixed in to pasta salads for as long as we can remember. But Pennsylvania Dutch Foods, located near Tamaqua, PA offers a lot more than specialty pickled vegetables! 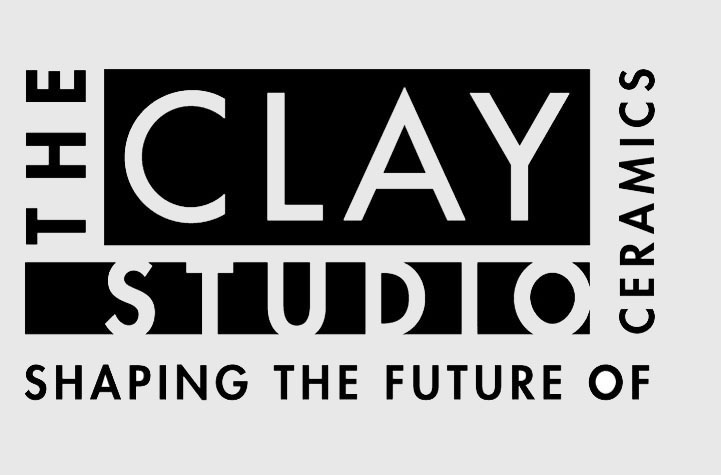 First, about the company’s name. 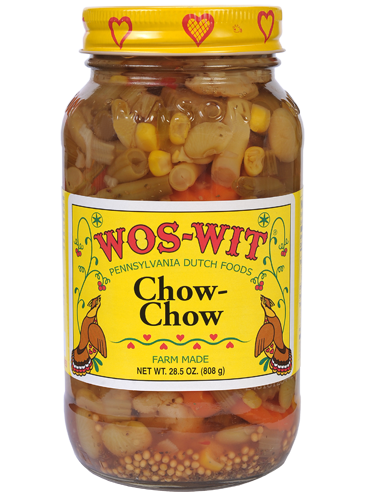 “Wos-Wit” is Dutch for “What would you like” and the answer to that question is likely one of their dozens of specialty food products. At their online store you’ll find bacon dressing, jams and preserves, spiced fruit, fruit butters, and their famous Chow Chow. If you’re unfamiliar with it, chow chow is well known throughout the southern states as well as Pennsylvania Dutch County. It’s basically a mixture of pickled vegetables and spices and can be made spicy or mild and with or without mustard (we like them all!). You’ll also find some unique products you might not see elsewhere, like Pickled Watermelon Rind, Quince Jelly, and Beet & Horseradish Relish. Whatever you choose, it’ll be a virtual trip through Pennsylvania Dutch Country! TorchBearer Sauces: If you’re like us, you’re a card carrying member of the “culinary curious” club. Always on the lookout for a new ingredient, a new flavor combination, a new sauce … yup we know exactly how you feel. Three Pennsylvania friends who own an up and coming sauce & condiment company know how you feel too! Looking for a one of a kind gift? 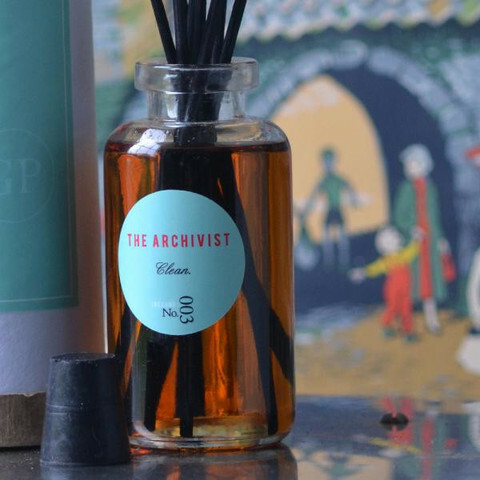 Consider TorchBearer’s “Best Sellers Mini Bottle Gift Pack”. It contains eight sample size bottles of their most popular sauce concoctions, including Oh My Garlic, Sultry Hot Sauce, Zombie Apocalypse, and more. Something really special from The Keystone State! You can buy any of the TorchBearer sauces directly at their website – keep them for yourself or give them away as gifts. Or better yet … both! Delicious Specialties From Termini Bros.
It’s the Termini Bros. Bakery, a family owned and operated Philadelphia classic that has been around since 1921. Renowned to area residents, this Italian-American bakery specializes in cannolis, pastries, cakes, and legendary cookies. In addition to their original 8th Street location in south Philly, they’ve got a few other locations around the city, including the famed Reading Terminal Market (a foodie’s paradise!). Everything is made at the original bakery production area to meet meticulous standards and ensure top quality. The biggest challenge is deciding what to get – everything is delicious! The bakery also ships many of their specialties nationwide, including cookie trays, gift boxes, cakes, and pastry gifts. 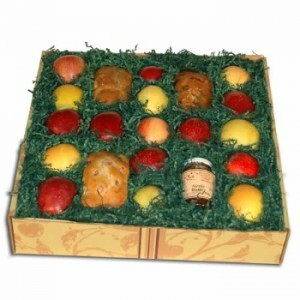 The selection is amazing and a gift from Termini Bros. Bakery is sure to bring a smile! A great place for a beer and to catch the game, Arooga’s menu features everything you’d expect and a few surprises – great burgers, wraps, salads, wings, and local specialties like cheesteaks and pretzel sandwiches. They offer a great tap list, service is swift and friendly, and prices are reasonable! Oh, and don’t forget their wings. The various sauces they serve are memorable – everything from traditional wing sauce to BBQ style sauces and all kinds in between. If you get a chance, try their Kangarooga Sauce – it’s been an award winner at wing festivals and it’s great in stir fry dishes or as a dipping sauce. Featuring a pleasant zippy hotness, it’s made with habaneros, honey, jalapenos, diced carrots & celery, and jalapenos. A winner! Revello’s Old Forge Style Pizza: Old Forge is a northeastern Pennsylvania town of just under 9,000 located a short drive from Wilkes-Barre and Scranton. And they’re known as “The Pizza Capital of the World” … really! 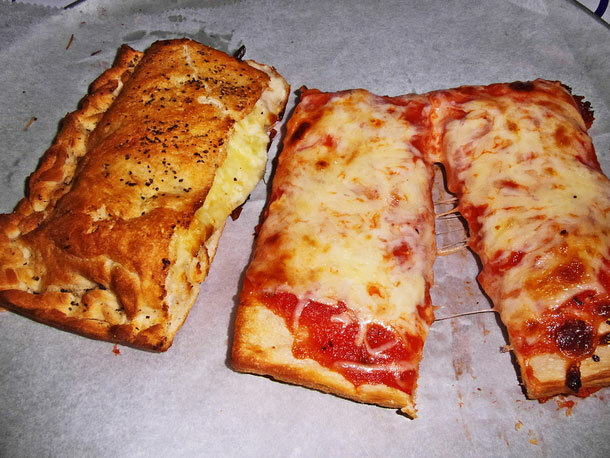 Old Forge, a former mining town, is home to well over a dozen pizzerias. The town’s main drag is flush with them, and on weekend nights you’ll see lines out the door at many of them. The pizza is one of a kind – it’s baked on rectangular trays, has a crust that’s a pale white color, and the blend of cheese used is unlike anywhere else. Here, a whole pizza is called a “tray”, and individual pieces aren’t called slices, they’re known as “cuts”. If you visit, now you know the local lingo! Click through to learn more about them and The Pizza Capital of the World! 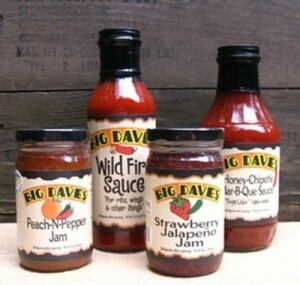 Big Dave’s sauces include a Honey – Chipotle BBQ Sauce and their signature product, Wildfire Sauce. 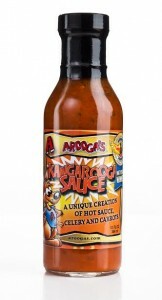 If you like a little blast of heat with your chicken wings, order a few bottles of this stuff! It’s also good as a dipping sauce for appetizers or anything off the grill! You can order any of these products directly at the Big Dave’s website via PayPal – Tasty local products from southern Pennsylvania! 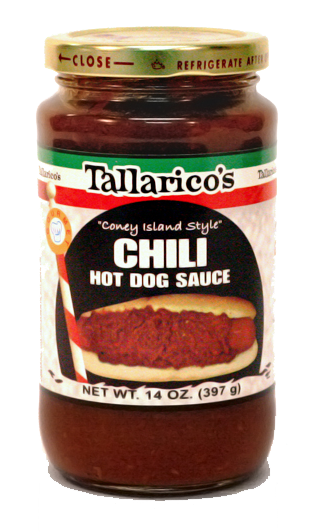 Today, Tallarico Foods creates sweet & hot pepper specialty products and a full line of sauces. They’re beloved in The Keystone State as well as surrounding areas, and you can order any of them directly at the company’s online store. 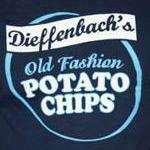 Tasty, authentic gifts from Bethlehem, PA for anyone who loves great food, including yourself! 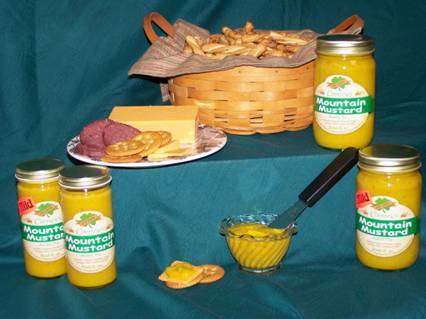 The company is best known for their signature product, Sweet & Spicy Mustard. It’s one of nine different varieties available, including a very Pennsylvania style called Beer & Garlic Mustard that’s made with iconic Yuengling Lager. 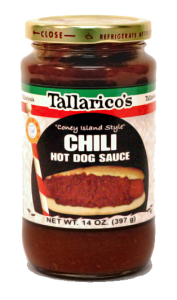 Try it with a bratwurst or other grilled sausages! Wild Mountain Gourmet’s Sweet & Spicy Mustard was recognized as the grand champion winner in the prestigious Napa Valley Mustard Festival, besting over 350 entrants. Use it as you would any standard mustard, or as a dipping sauce for appetizers. Brooke offers a number of recipes for the Sweet & Spicy along with her other mustards in her blog, which you can find at her website. 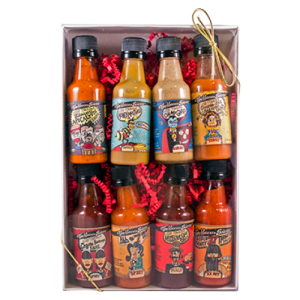 The site also offers a cool Build Your Own Basket feature for gift giving – check out the full line of products at the Wild Mountain Gourmet online store, including their Wing Sauce, Barbecue Sauce, and more. Tasty gifts from north central Pennsylvania! 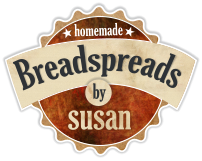 Visit Susan’s site to see all the natural and delicious products she’s making! Based in historic Lancaster, the company makes five different styles of classic dill pickles and three hot sauces / marinades. 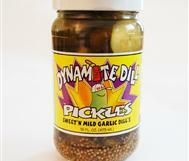 We bought a jar of Sweet ‘n Mild Garlic Dills locally and went through them in a matter of days! They’re really good … not overly sweet and the garlic balances out the sweetness. They’re great right out of the jar or to dress up your burgers or hot dogs. 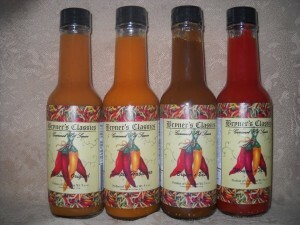 Bryner’s Classics Hot Sauce – Try Them! Bryner’s Classics Hot Sauce: This family run company in western Pennsylvania was founded by Bruce and Tina Bryner, who grow peppers organically on their farm and use them in their line of unique hot sauces. 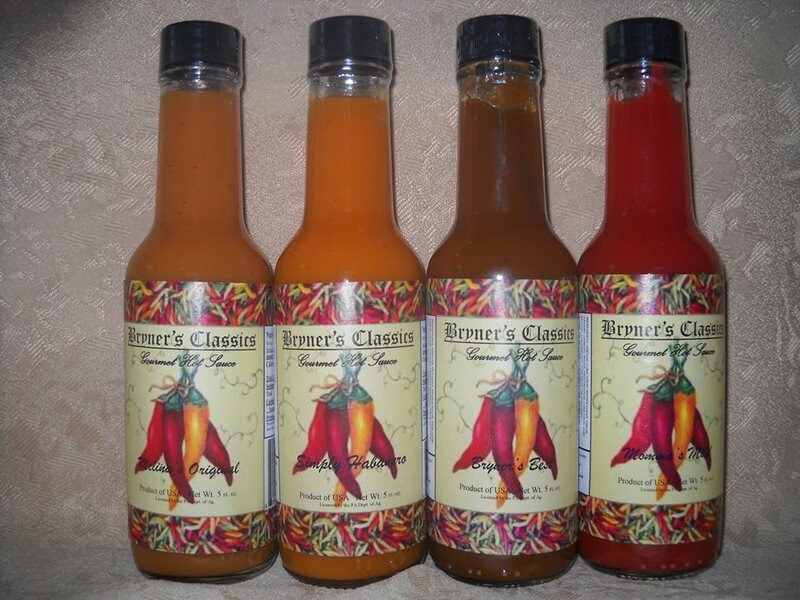 The Bryner’s make five different sauces ranging from mild to hot, so no matter what your taste buds like in a hot sauce, they’ve got something just for you! Starting with Momma’s Mild, each of the five is a blend of peppers mixed with ingredients like garlic, onion, and a bit of citrus and brown sugar for sweetness. Momma’s Mild uses cayenne and chili peppers with just a hint of heat, while Melina’s Extreme brings the warmth with a robust blend of habanero peppers with a blast of garlic. Their signature sauce, Bryner’s Best, is a brown habanero sauce with the perfect mix of hot and sweet. Use this one to add character to your stew and stir fry dishes! You’ll find Bryner’s Classics Hot Sauce in some stores in the western part of The Keystone State and better yet you can order via PayPal directly at their website. If you’re undecided, they offer a sample pack of four of their sauces in smaller bottles. We loved Bryner’s Best, but check out their site and decide which best fits your heat profile! We are big fans of Momma’s Mild … it’s the perfect hot sauce for people who don’t like it too hot. It adds a flavorful twist to tacos, soups, and any kind of rice dish. 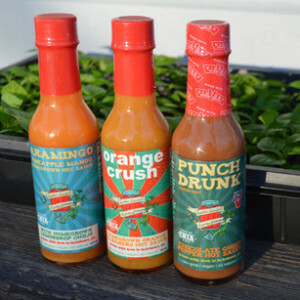 Get some for yourself or anyone on your list … everyone likes the gift of locally made hot sauce! Cooney’s makes two styles of their mustard relish, which can be used just like a normal mustard but also as a dipping sauce for chicken tenders, crackers, cheese sticks, etc. The first is their Regular style, which has a bit of a bite (but not too much), and the second is their Mild version. They’re made with fresh peppers, turmeric, onions, vinegar, and assorted spices and they’re really good! One of our friends who travels to northern Pennsylvania on business had a jar of the Mild and served it with burgers at a backyard BBQ at his place, and we immediately sat up and took notice! You can order Cooney’s directly from their website in eight or sixteen ounce jars and they’ve also got gift packs available. There’s also a list of locations in the state who carry Cooney’s on their website. 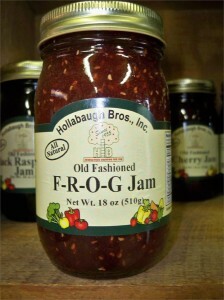 Get a hold of a jar or two for yourself – really good stuff from The Keystone State! 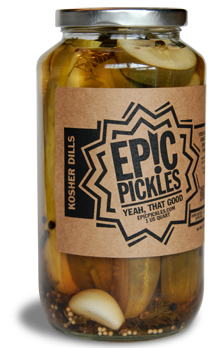 Epic Pickles are a growing young company focusing on all things, well, pickled! In addition to kosher dills, hot dills, and the aforementioned spicy dills, they pickle other vegetables and also make a specialty variety called Chesapeakles, made with some of the same spices Chesapeake Bay crabs made famous. Cauliflower, string beans, okra, asparagus, onions, and carrots all get the same Epic treatment. 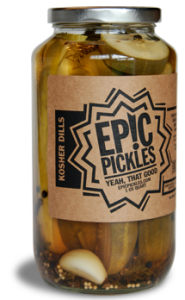 You can order many of the Epic Pickles products directly on their website. An awesome gift from The Keystone State! Click on the “Buy Now” link on their website and you can get your very own Epic fix! With that said, one one small family owned and operated mustard company located in Gibsonia, PA recently caught our eye. It’s Miller’s Mustard, who make two varieties with the key ingredient being banana peppers. Interesting! Gibsonia, by the way, is located not far north of Pittsburgh just off the Pennsylvania Turnpike. 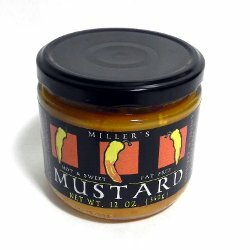 There’s a link on their website where you can buy online, so if you’re mustard aficionados like us, give them both a try! A cool gift from western Pennsylvania! These days the farm is known for their expansive retail market, featuring an on site bakery, family fun activities, and of course freshly picked fruit and produce. The market features a plethora of local meats and gourmet food products, as well as a Bee Room where you can watch a hive of honeybees hard at work! The two brothers grew up with a passion for cooking and have developed a line of signature sauces to reflect that passion. Very popular in the Philadelphia area, the sauces are available at many Whole Foods locations in the area. Vesper Brothers is well known for their Signature Tomato Sauce, best used with any type of pasta dish (there are recipes on their website). They also make a spicy version of the sauce, as well as a pizza sauce if you like to make your own pizza – a fun and rewarding thing to do! Local mushrooms and hand made pasta are just a few other items available at the Vesper Brothers Foods website. Click through to order for yourself or as a gift! 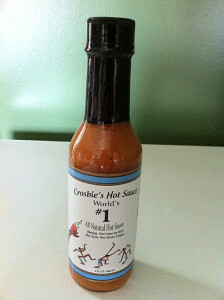 The sauce is simply enough called Crosbie’s Hot Sauce and it’s quite delicious! It’s made with habanero peppers, garlic, vinegar, and a bit of salt and it has a heat level to complement your food rather than overwhelming it (we like that!). 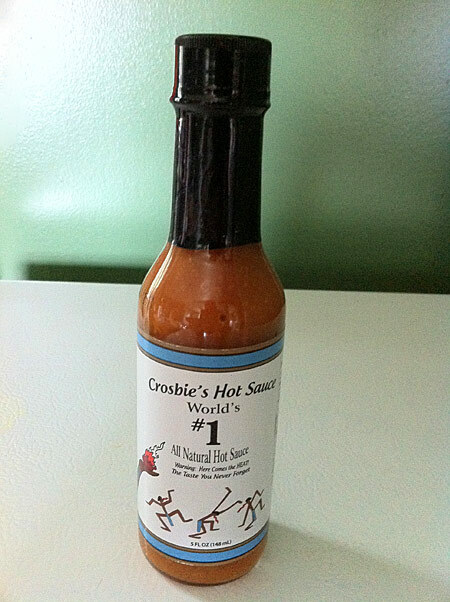 You can use Crosbie’s Hot Sauce just like any other hot sauce – add it to your favorite dishes or use a bit as a marinade for fish or pork chops or chicken. It can also be used as a wing sauce, and the sauce’s orange color fits very well in that regard. It has a thin consistency so it’s easy to add it liberally to any food according to your taste. The heat won’t knock you out but you’ll definitely feel it! You can order Crosbie’s by the bottle or case at their website – enjoy! You can order all these maple based products, and gift baskets, at the Brookfield Maple Products website. 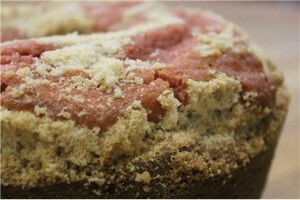 Try the maple walnut topping and the maple sugar – ideal on baked breakfast items or added to an after dinner treat! Hank’s flavors include regular and diet root beer, black cherry, vanilla cream, orange cream, and birch beer, a Pennsylvania specialty. 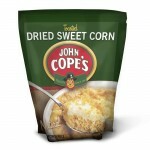 The company has an online store where you can buy any of the flavors mentioned, as well as variety packs. Online orders are shipped by the Pennsylvania Developmental Disabilities Corporation, an agency that helps developmentally disabled people lead productive lives and reach their potential. Try Hank’s Root Beer – it’s one of the best you’ll find! 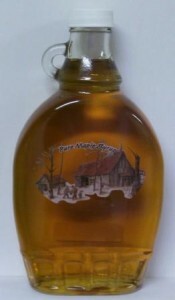 A great gift from Pennsylvania Dutch Country! National Aviary: Pittsburgh is one of our favorite U.S. cities … the great restaurants, nice people, and many attractions make it a consistent destination on our travels. 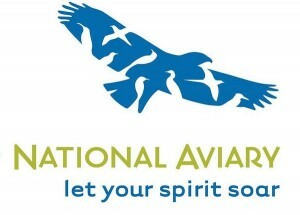 The National Aviary is a “must see” for anyone visiting Pittsburgh … an experience not to forget! The facility is within blocks of two of the city’s wonderful historic restaurants … the Park House Tavern on Ohio Street (Pittsburgh’s oldest tavern) and Max’s Allegheny Tavern on Suisman Street (a wonderful cozy German restaurant). Enjoy! 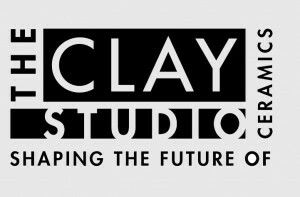 Many of the current artists offer their works for purchase at The Clay Studio website. You’ll find both functional ceramic pieces as well as decorative works, and much more. Jewelry, gifts, clothing, and carrying bags are also a part of their offerings. There’s something for everyone … in all price ranges! Visit their site to learn more about their educational efforts and to own a wonderful gift from Pennsylvania! 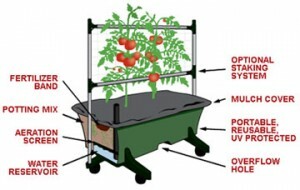 Earth Box is a maintenance free growing system that controls soil conditions and requires no digging or weeding. Just add plants, water, and provide adequate sunlight! The restaurant closed a few years ago and the site is currently being refurbished to hopefully include the tavern aspect of the legendary restaurant. In the meantime, many of the key recipes have been preserved and are now packaged and marketed under the supervision of Bookbinder Specialties. We’ll keep you posted on the progress of the Old Original Bookbinder’s space in downtown Philadelphia! You can generally find All Clad products in cookware and kitchen stores, and you can also order online. They offer numerous cookware sets, like the one pictured. These sets make a great housewarming gift, shower or bridal gift, or just for someone who needs some new high quality pots and pans! Pennsylvania Chips and Pretzels: If Pennsylvania isn’t America’s snack food capital, it probably should be! Unique Pretzel Co. of Reading who make a “split open” pretzel (hence the name Unique!) … they’ve been around since the 1880’s. As you can tell, there’s a lot of Pennsylvania history in these companies. All of them sell their products online and represent a real taste of The Keystone State! Herlocher’s Dipping Mustard: And what goes good with pretzels? Mustard of course! It’s available in large grocery stores in many parts of the country, about 30 states, but if you can’t find it locally, you can order from their website. A sweeter style mustard, it’s not just good with pretzels … any deli sandwich will taste better with Herlocher’s! 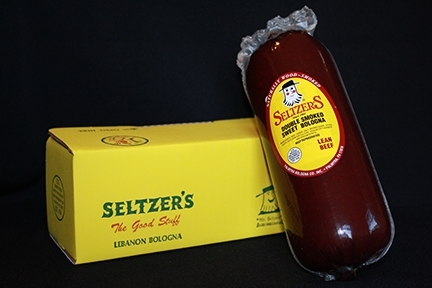 Seltzer’s Bologna – The (Really) Good Stuff! First and foremost is their bologna. This isn’t the prepackaged stuff you see at your local grocer … this is real smokehouse bologna that’s rich and sweet tasting without needless preservatives. We’d venture to say even if you don’t normally care for bologna, you will very likely enjoy Seltzer’s … it is that good! Seltzer’s also sells boneless Dutch Country Hams, bacon and two Keystone State specialties, Shoofly Pie and Scrapple. 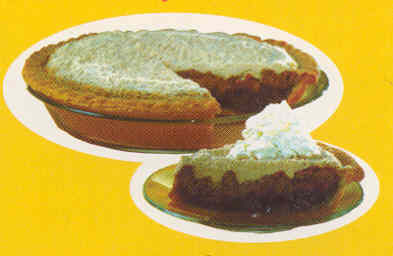 Shoofly Pie is a sweet molasses filled pie that originally got its name because flies were attracted to the aroma and needed to be shoo’d away. Pots By de Parrot Shop owner Steve de Parrot of Lititz, PA creates beautiful and functional stoneware pottery, tiles, and decorative art from his Etsy shop. Philly Cheesesteaks: One of Philadelphia’s most famous traditions is the one of a kind Philly Cheesesteak sandwiches. They’re made with Black Angus Sirloin, either sliced or chopped depending on the establishment, and served on a soft hoagie roll. And then of course, there’s the cheese. Philly Cheesesteaks can be ordered smothered in Cheese Wiz, or made with other sliced cheese, like provolone (our favorite). It’s a one of a kind taste experience that’s truly Philadelphia! If you travel around the city and ask the locals, they’ll steer you to their favorite cheesesteak haunt. The most well known are Pat’s King of Steaks and Geno’s, both on 9th Street, and Jim’s Steaks on South Street. When you’re in Philly, try them all and see which you like best! 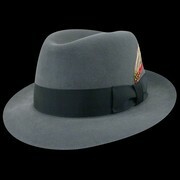 Also check out Bollman’s main website at BollmanHats.com. The company is located in Adamstown, PA. Choose from one of their colorful gift baskets, available in a variety of themes, or pick out one or more of Asher’s many candy and chocolate specialties. They’re particularly known for their vanilla caramels! The Martin Guitar Company is located in Nazareth, PA – their guitar factory is a popular visitor attraction. Made with American labor and materials, Ener-Gel insoles are designed to alleviate foot pain resulting from lack of arch and heel support. They also help your body’s natural alignment and can help rid you of hip, ankle, and lower back pain. Flavors include root beer, red creme soda, ginger beer, sarsaparilla, orange creme, grape, black cherry, and birch beer. Yuengling Brewery: Officially called the D.G. Yuengling and Sons Brewery, Yuengling has been around since 1829 which makes it American’s oldest brewery. This iconic brewery turns out several flagship brands of beer, like Yuengling Lager, Black and Tan, Porter, and Lord Chesterfield Ale. Finding a Yuengling on tap is one of the first things we do whenever we travel to Pennsylvania! While the brewery can’t ship you a case online, you can order some great Yuengling gear at the Yuengling online store. A great gift for you or someone who appreciates a great beer! Toasted and dried sweet corn is a Keystone State staple and is used in any recipe that calls for corn, like quiches, chowder, and fritters. It’s got an exceptionally sweet, fresh taste ! 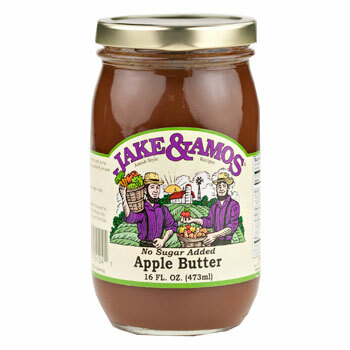 A real treat from Pennsylvania Dutch Country! More Pennsylvania Made Products On The Way … Tell Us About Your Favorites By Commenting Below!